Hand Embroidery is a lovely creative activity for children to learn. In this sewing class for ages 8-12, we’ll be making a felt heart. This is a lovely school holiday activity for children. 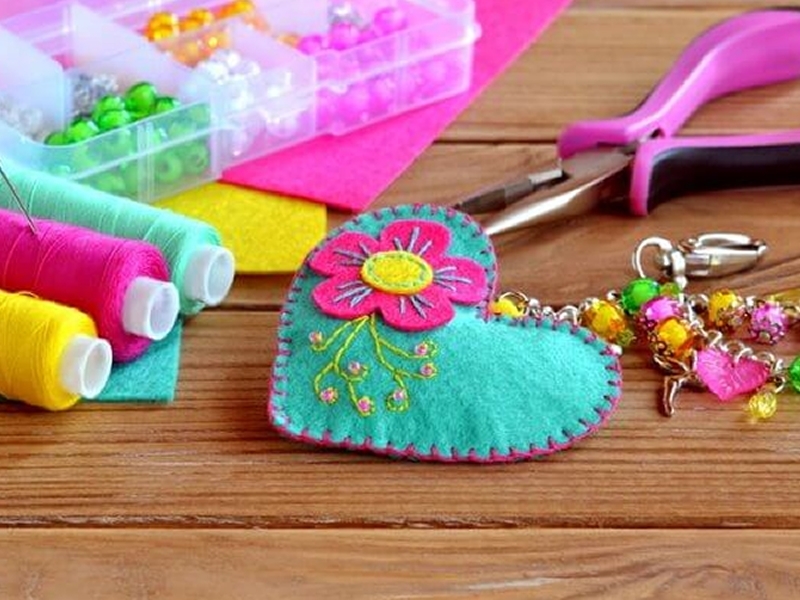 - combining felt and other fabrics to make a heart-shaped key chain charm. I am insured and hold a PVG (Disclosure Scotland) certificate. If your child enjoys embroidery, why not try Young Embroiderers – a group run by Edinburgh Embroiderers Guild for young people from age 7. While we take every opportunity to ensure the details for Hand Embroidery for Children are accurate, we always advise that you contact the event organiser before setting out for the event to avoid disapointment.